Sugar has direct impact on heart disease. A new study has confirmed the detrimental effects of sugar consumption on heart health, impacting on blood pressure, independent of weight gain. The review study, published in the American Journal of Clinical Nutrition, consisted of an analysis of all studies that compared the impact of high versus low sugar consumption on blood pressure and the amount of lipids in the blood. High blood pressure and a high concentration of lipids are cardiovascular risk factors. Thirty seven trials reported findings on lipids on 12 analyzed the impact of sugar on blood pressure. “Our analysis confirmed that sugars contribute to cardiovascular risk, independent of the effect of sugars on body weight.” “Although the effects of sugars on blood pressure and lipids are relatively modest, our findings support public health recommendations to reduce added sugar in our diets as one of the measures which might be expected to reduce the global burden of cardiovascular diseases,” said Dr Te Morenga, the lead study author. Dr. Te Morenga commented on the overall study findings as follows: “However our latest study did find significant effects of sugars on lipids and blood pressure among these types of energy-controlled studies. This suggests that our bodies handle sugar differently to other types of carbohydrates.” “We were also relatively surprised that there was a positive association between sugars and cardiometabolic risk factors given that a large body of the research which met our inclusion criteria is funded by the food industry. This is because such trials are less likely to find a significant association between sugars and health outcomes. 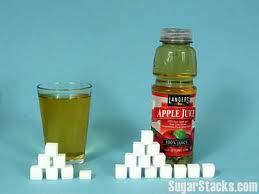 Previous study have correlated the negative impact of sugar sweetened beverages on health. One such study, by the Harvard School of Public Health (HSPH), linked the consumption of soda to an increased risk of metabolic syndrome and type 2 diabetes. Metabolic syndrome is the term approved by the word health organisation to describe a set of conditions including high blood pressure, increased blood sugar level, excess body fat around the waist or low HDL (the good cholesterol) and increased blood pressure. The syndrome is linked to an increased risk of cardiovascular disease. “Many previous studies have examined the relationship between sugar-sweetened beverages and risk of diabetes, and most have found positive associations but our study, which is a pooled analysis of the available studies, provides an overall picture of the magnitude of risk and the consistency of the evidence,” said lead author Vasanti Malik, a research fellow in the HSPH Department of Nutrition. In this study the researchers analyzed the data from 11 pooled studies that examined the association between sugar-sweetened beverages and those conditions. The study population group included more than 300,000 participants and 15,043 cases of type 2 diabetes and 19,431 participants and 5,803 cases of metabolic syndrome. The research results demonstrated conclusively that drinking one or two sugary drinks per day increased the risk of type 2 diabetes by 26% and the risk of metabolic syndrome by 20% compared with those who consumed less than one sugary drink per month. Drinking one 12-ounce serving per day increased the risk of type 2 diabetes by approximately 15%. “The association that we observed between soda consumption and risk of diabetes is likely a cause-and-effect relationship because other studies have documented that sugary beverages cause weight gain, and weight gain is closely linked to the development of type 2 diabetes,” said Hu. The researchers recommend replacing sugar sweetened beverages with water to reduce risk of diabetes as well as obesity, gout, tooth decay and cardiovascular disease. ← Malnutrition causes high mortality rates in HIV patients.